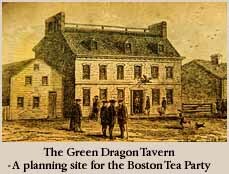 Member of the Green Dragon Tavern Email Welcome Friends! ... to the Website of the Virginia Gentlemen .... Thomas Jefferson. This page is currently under construction, but look for future great links to fellow members of the Sons of Liberty, and political commentary. My spirit has been called into action to relight and rekindle the flames of the knowledge of Law and Liberty.